We woke in pre-dawn light on Thursday, September 15. Wind whipped our tent. And the decision that we had been increasingly fretting about was made for us by the wind.After the splendid performance the previous evening, we’d returned to our campsite and rekindled our campfire. We’d tried to turn in relatively early since we’d wanted to be up early to make an attempt at Angels Landing before it became crowded (we were aiming to be on the first shuttle into the restricted portion of Zion Canyon). Since we’d both had a faint signal on our phones, we’d read up a bit more on the hike. 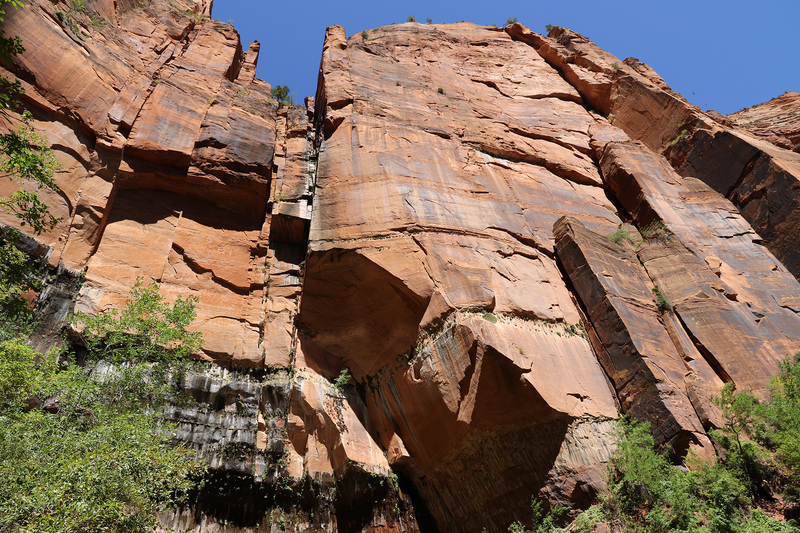 In particular, Sean had gotten his first real taste of news items about Angels Landing. The news stories of deaths on the route in the previous decade and a half hadn’t comforted either of our nerves. Nor had they helped me sleep. 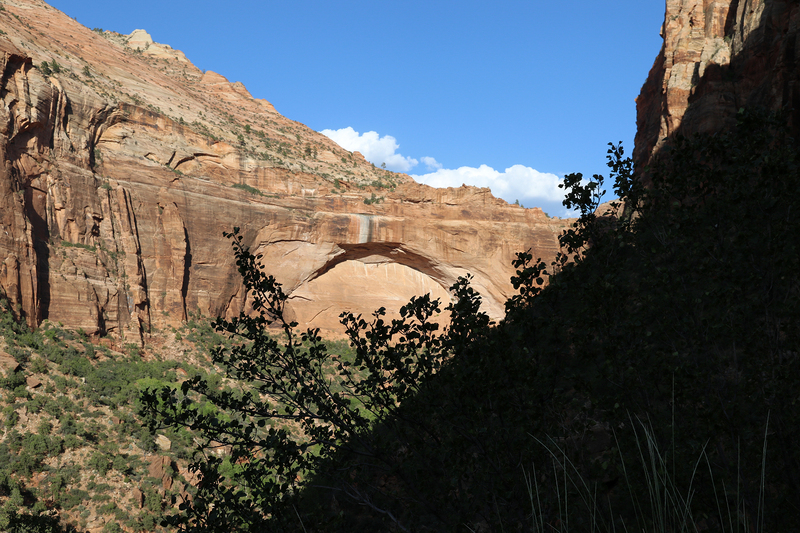 This entry was posted in Journey and tagged Camping, Day Hike, Grand Staircase, Utah, Zion on July 22, 2017 by Brandon Hayes. We got to the amphitheater a couple minutes late, and as we were walking up, we heard an earnest young man singing with guitar accompaniment. 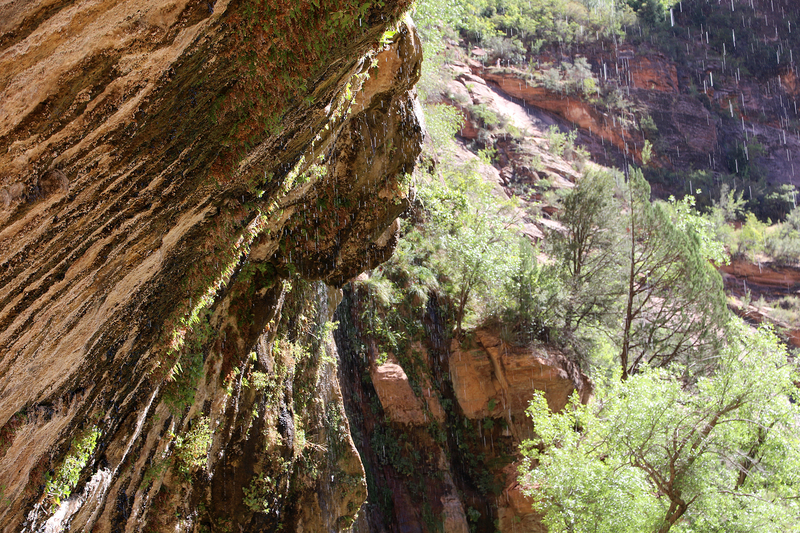 He was singing Gloria Gaynor’s “I Will Survive” with altered lyrics to make the song applicable to Zion National Park. We froze, wondering if this would be a somewhat embarrassing evening. Sean has intense emotional reactions to people doing somewhat embarrassing things onstage…poor standup say. But we decided to give it a go. It turned out that Ranger Taylor, the performer, was disarmingly earnest and completely charming. More often than not, his adaptations were clever and illuminating (the best were “Rollin’ to the River” about erosion in Zion Canyon and “Free Falling” about Peregrine Falcons, the fastest birds on earth). 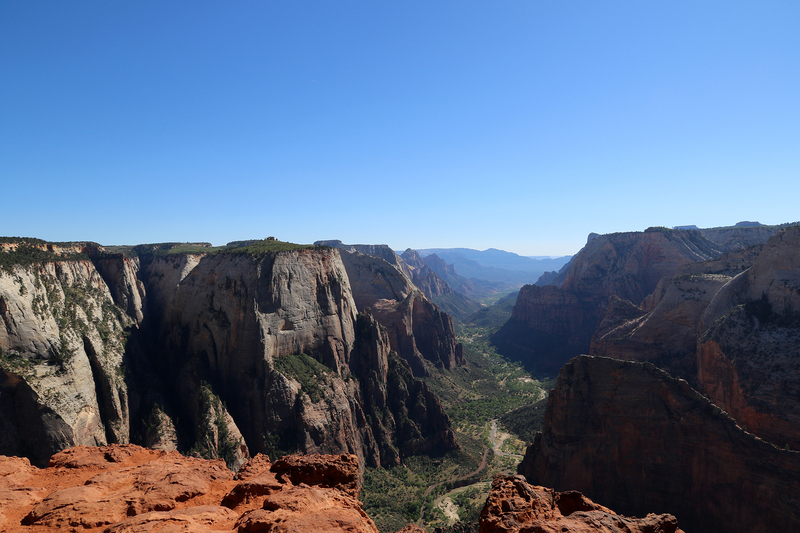 He conjured up an image of a creative, wholesome young National Park Service ranger spending his first summer in Zion taking everything in and reacting to the experience by writing songs on his trusty guitar. 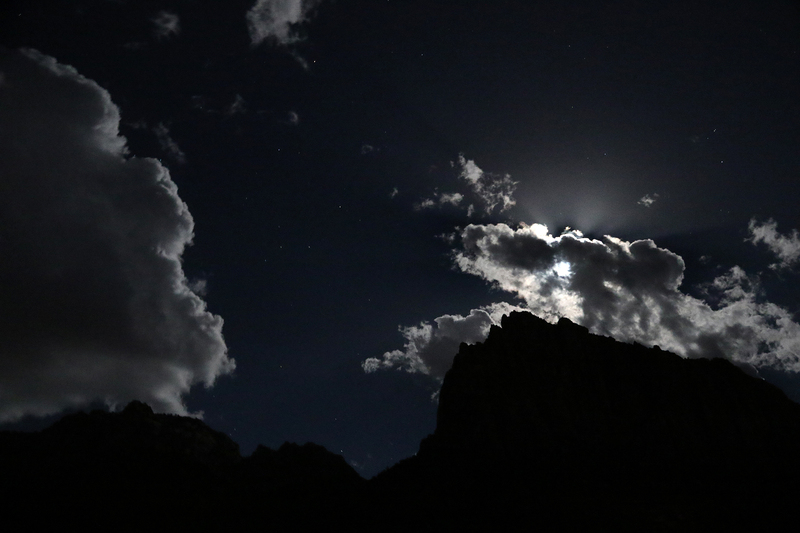 This entry was posted in Journey and tagged Camping, Grand Staircase, Utah, Zion on July 16, 2017 by Brandon Hayes. It was already 4pm on Monday, September 12 by the time we drove out of Bryce Canyon National Park and into the gateway town of Bryce, Utah, where we got hotdogs and kombucha at the massive tchotchke-laden store at Ruby’s Inn. Sitting in the Jeep afterward, we made the appropriate decision that it was too late to go to Cedar Breaks National Monument and that we should continue on to Zion National Park and set up camp. We decided that we could drive out to Cedar Breaks from Zion in the morning. 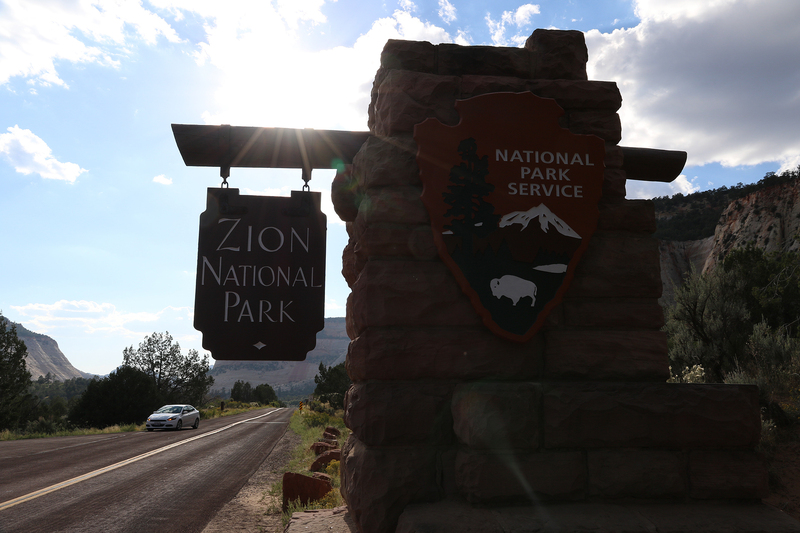 We drove off the Paunsaugunt Plateau and south on Highway 9 toward Zion’s east entrance. The drive through rolling scrubland took about an hour and a quarter, and we arrived at the east entrance a little after 5:30pm. From the 8,000-feet elevation of the rim of Bryce Canyon, we’d dropped to 5,700 feet at the eastern entrance of Zion. 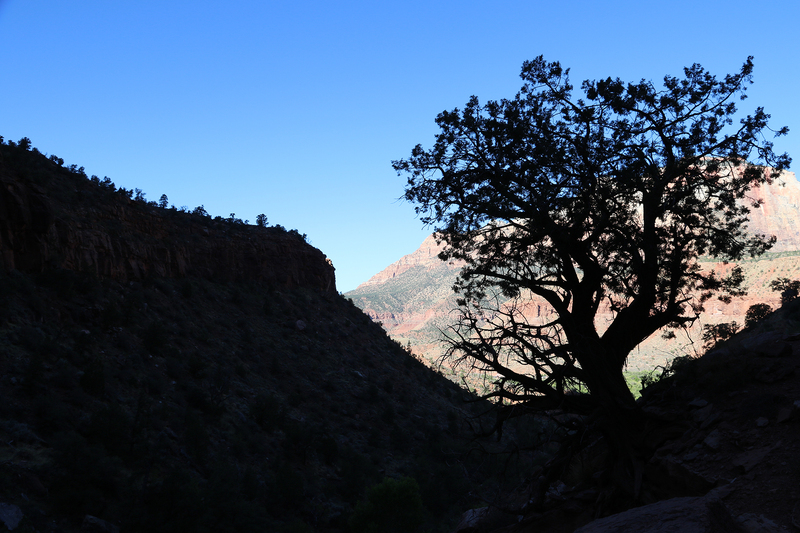 And we would drop another 1,700 feet by the time we reached the canyon floor. This entry was posted in Journey and tagged Camping, Grand Staircase, Utah, Zion on June 11, 2017 by Brandon Hayes.